I made it through to the second week of Season 9 of Project Run & Play! If you like this week’s outfit, please take the time to vote for my Cape Cod Casual look before Thursday night! This week’s theme is Spring Break or your favorite vacation spot so of course I picked Cape Cod. For those of you who don’t know, I was born and raised on the Cape (in the house where our mother also grew up) and it will always be my favorite place – vacation or otherwise. Since the theme was Spring Break and it’s not exactly hot in Massachusetts in the spring, I stayed away from bathing suit/beach wear and stuck to a very traditional (and really en vogue this spring) Cape Cod casual look. 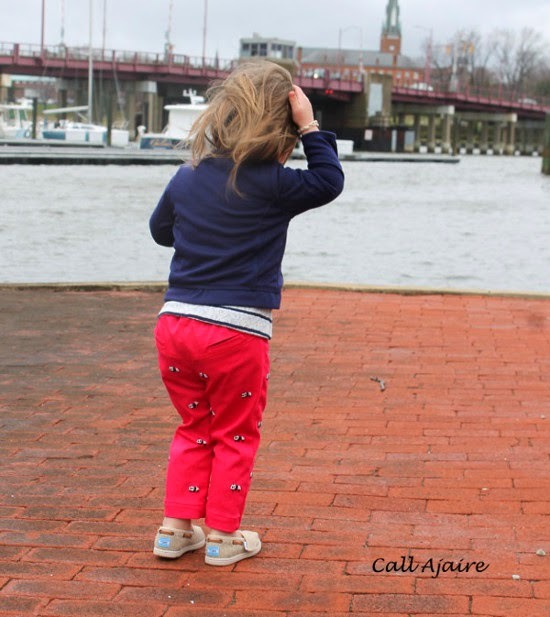 We headed to Annapolis for a photo shoot since that’s the closest thing to the Cape we have here in Maryland. It was raining and unbelievably windy so there weren’t too many great photos to choose from afterward, but we had fun laughing at just how ridiculous the weather was. It was also 40 degrees so Bean did an amazing job of smiling and posing out in the cold. By the time we got back to our house there was an inch of snow on the ground so maybe it wasn’t the best day to plan a harbor photo shoot, hehe. 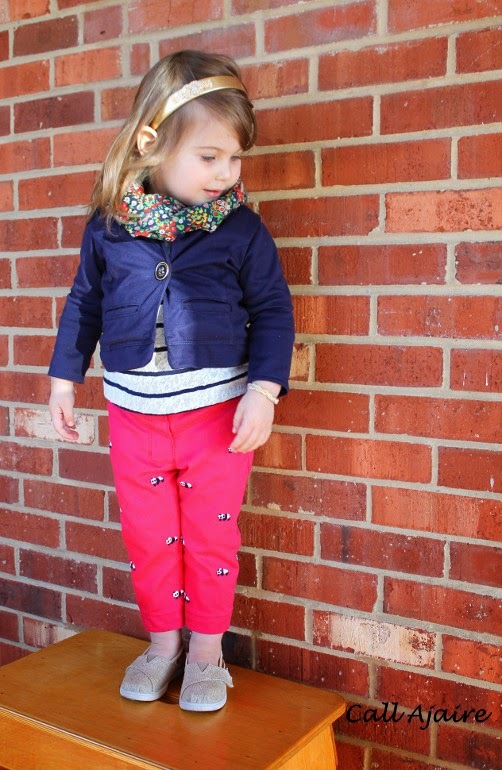 My favorite part of this look is the Nantucket Red capri pants with a “critter” style embroidery on them. 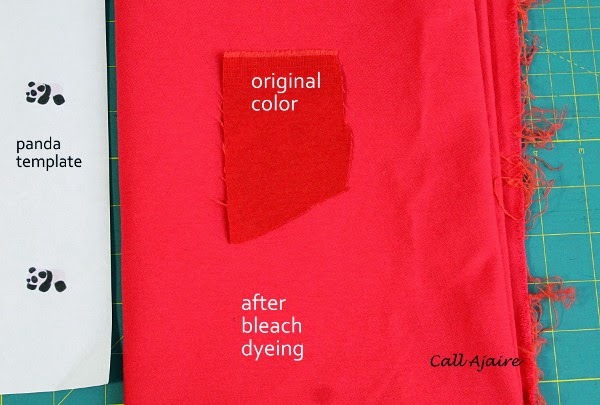 It was difficult to find the right shade of red so I bleach dyed some jeans fabric to get that pinky/berry/more-red-than-salmon color. And of course if I’m going to choose a critter to embroider then it’s going to be a panda, hehe. 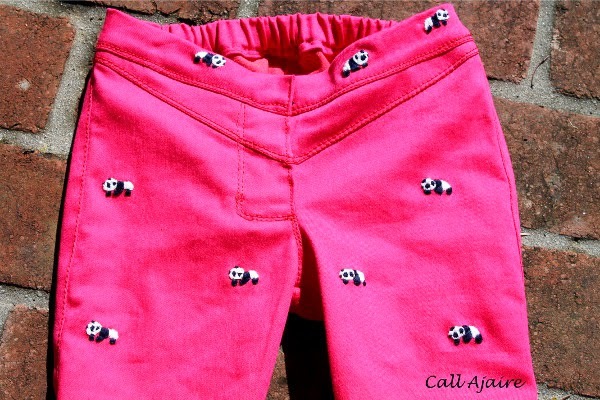 I designed a little baby panda profile and hand embroidered them onto the fabric prior to cutting out the pants. The embroidery was done on the front, back, and waistband pieces, using a dark navy and white dmc floss. As I embroidered those pandas, I tried to make them each a bit different so it’d be easy to tell they were hand stitched. Bean literally squeaked when she saw all those little pandas. It was all I could do to get her not to pet the teeny pandas on her pants the whole time I was trying to take pictures. It was worth all the time it took to finish them to see how much she loved her panda pants. The pants themselves were modified from a self drafted pair of pants I made for Bean way back when she was just learning to stand. I took my pattern (originally used for knit fabric), graded it up, added some ease, made side vents at the ankles, and created a working zipper closure. 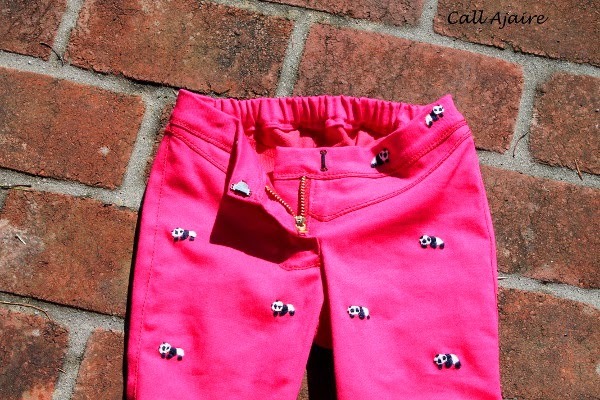 I was going to add a button closure to the capris, but once they were sewn together I thought a button would distract from the panda waistband so I opted for a hook and bar instead. I added functional welt pockets to the back to match the angle of the yoke pieces. 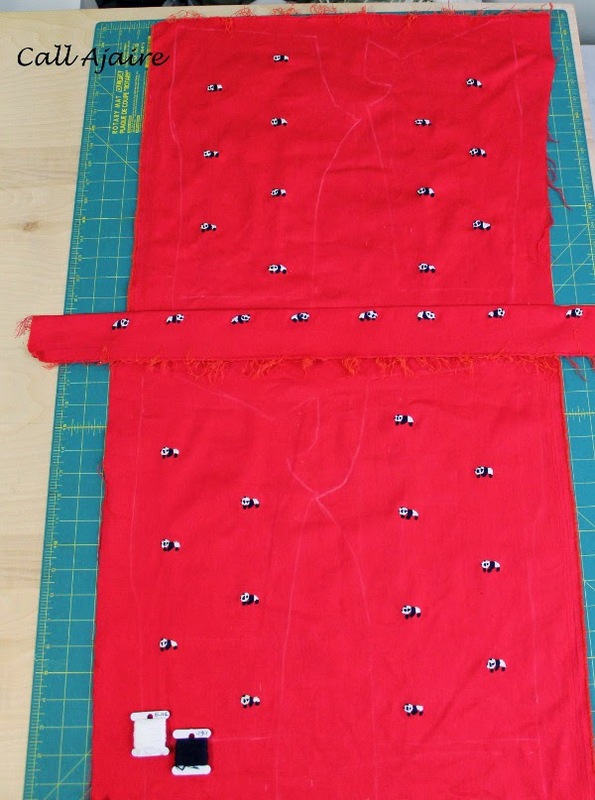 I have to give a quick shout out to Melissa from Blank Slate Patterns whose Clean Slate Pants first taught me how to sew a functional zipper AND the best way to make a welt pocket. I’ve used those skills a ton over the past two years so I highly recommend that pattern (*affiliate links). For the blazer I took the bodice I designed for the black shirt from last week‘s look, added princess seams, split the front, lengthened the sleeves, and added the collar extension. I used the same nifty method to attach the collar lining as in the BBC Vest (*affiliate link) pattern from Shwin Designs. 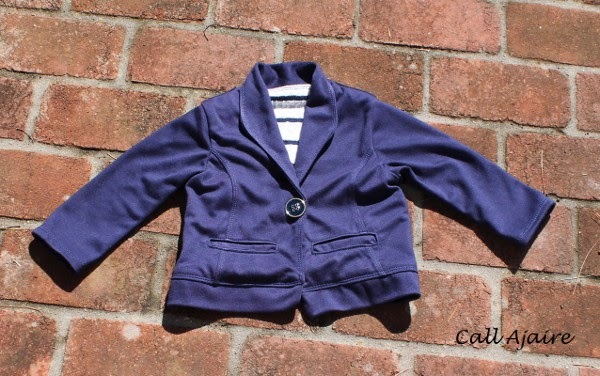 The fabric is a navy ponte de roma which is a little more casual than a woven making this cropped blazer comfortable and perfect for a little girl. Even though I was nervous about welt pockets with the knit, the seams above and below the pockets lined up really well and there wasn’t any stretching so the ponte de roma was a good sturdy choice. The lining is made from a lace and stripe fabric I found at JoAnn Fabrics. 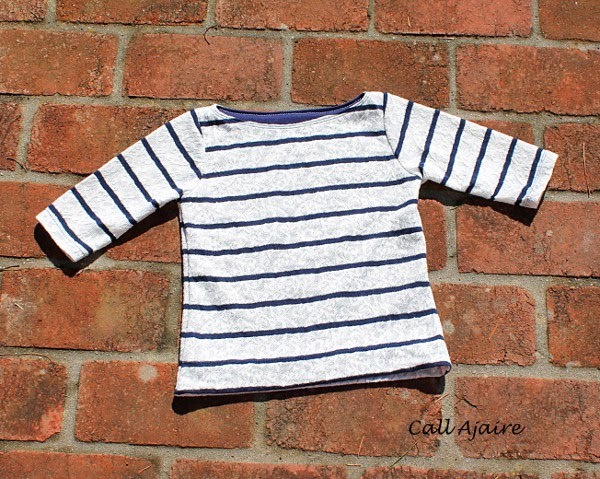 The lace portion is in a soft knit so it isn’t irritating to Bean’s skin. The finishing touches are a large button from my stash attached in the center of the blazer so the bottom could fan out over Bean’s belly to expose the shirt, and a band around the bottom with some small gathers in the back. The sleeves are cut shorter than wrist length, but longer than 3/4 so they would offer some coverage, but not be too long for a spring/summer look. The blazer lining fabric was originally bought with the boatneck shirt in mind. It’s the perfect blend of traditional nautical style and modern flair. Again, I used the bodice pattern I drafted for last week’s look, widening the neckline and changing the sleeve cap to fit without a gather. The sleeves are a little longer than 3/4 length and unlined. The bodice is lined with more of the ponte de roma navy to really allow the white lace stripes to stand out. The accessories really pulled the whole look together. 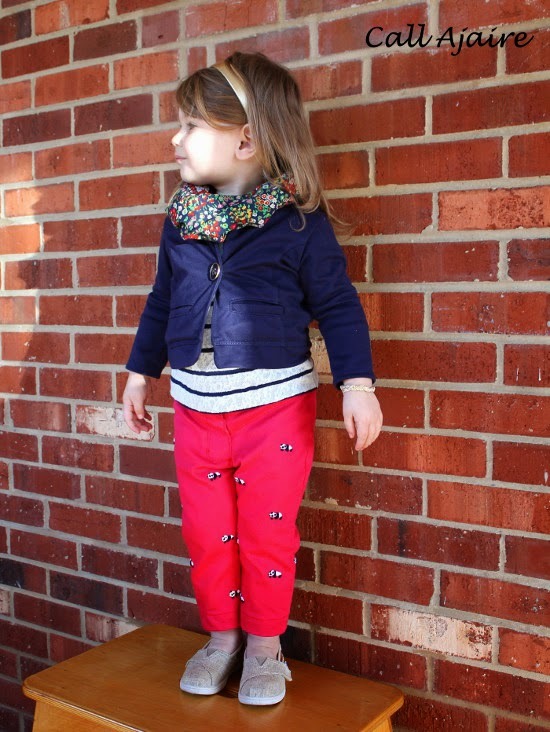 Bean’s spring Toms are a boat shoe style that I’m completely in love with and were perfect with the outfit. It’s hard to see in the pictures, but I made a traditional braided rope bracelet with a gold flecked cording. Using the same cording I made a Josephine knot (a traditional sailor knot) and then glued it to a headband. I left the edges of the cording frayed because I though it added to the casual feel. And my absolute favorite is the infinity scarf. I am really into mixing patterns and I thought this floral cotton lawn from Imagine Gnats (this color is now unavailable) looked so good with the lacy stripes. This is one of my favorite fabrics I’ve ever bought and I was so pleased to be able to squeeze out one more thing with the leftover scraps. 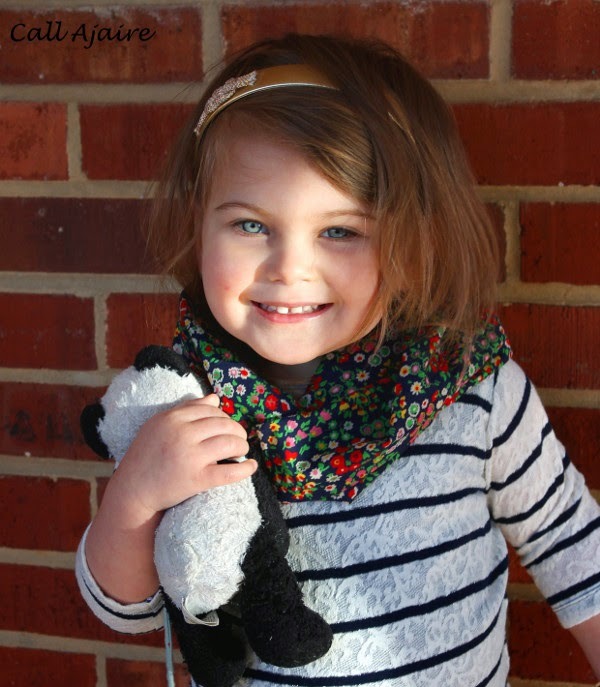 The infinity scarf is perfect for spring and Bean loves wearing it. She loves scarves in general, but after retying her other scarves over and over I thought an infinity scarf was the best way to go. I hope you love this look as much as I do. 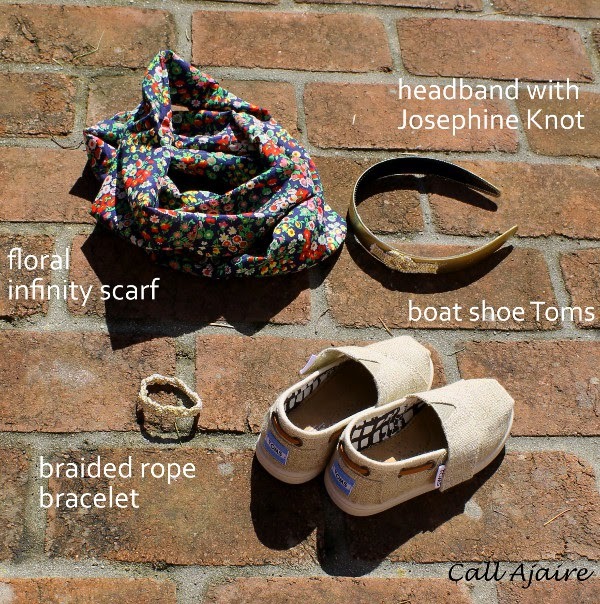 If you would like to vote for my version of Cape Cod Casual, you can do so here before Thursday night. Thank you in advance!! This might be my all time favorite look you've sewn 🙂 Those pants are great, and the scarf and gold touch make the whole thing an amazing outfit! Great pictures and what a good sport bean is!! Wow! 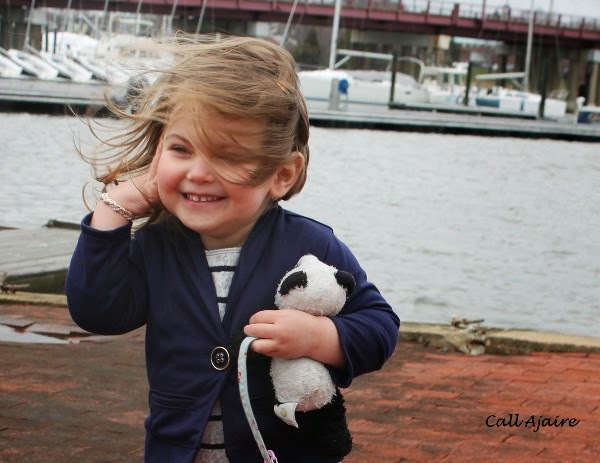 Those embroidered pandas – love them! 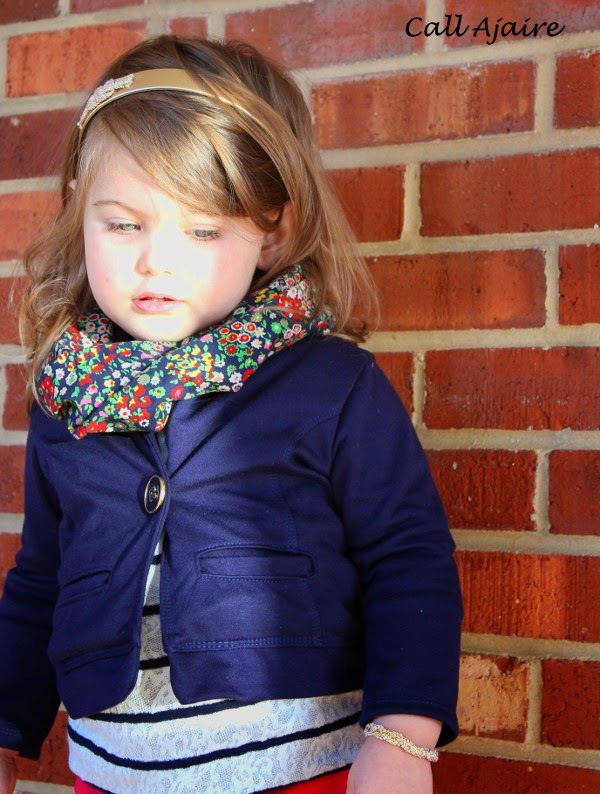 The whole outfit is amazing – stylish, comfortable, beautifully sewn. The scarf is gorgeous, I love the boat neck on the shirt, the blazer is super cute and making it in a ponte was such a good idea – just beautiful! You really added something special with the bleached/embroidered pants. Truly a labor of love that shows. Great work this week!! Autumn! You logged in 😉 thank you so much for coming by and commenting. I'm really happy about how this look came together! Totally love that second photo 🙂 And WOW, all those embroidered pandas. WOW!! This is one special outfit! Those embroidered pandas are so awesome! This is one of the cutest outfits EVER!! I love it! She looks like she is having so much fun in the pictures. Laughing at her insane mother whole thinks a near nor'easter is the best weather for a photo shoot! That red for the pants is my favorite. 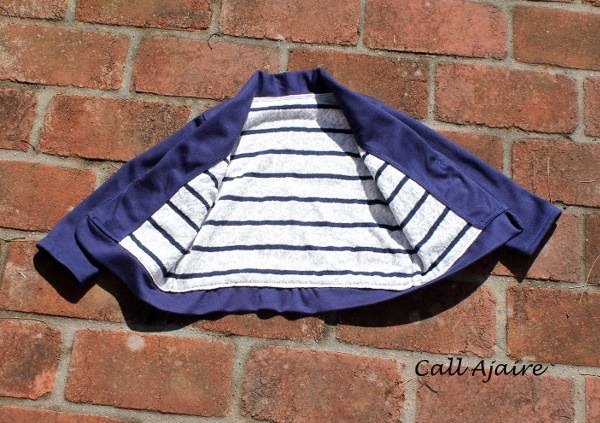 Topped with the navy, it's an outfit I would love to wear but would never think to! Your kidding me! That is amazing! Those pants are FAB! How long did that take you? Everything else is beautiful but those pants blow me away! Well, the whole outfit is amazing, you know that! But you have blown me away once again with REAL KIDS CLOTHES that have all the unique touches of being handmade…while looking very high end, designer label, and store bought. The pandas kill me, and someday when you have time I'd love a tutorial for that knot headband. Absolutely precious!! It was so windy Heidi! Haha There were maybe three total usable photos from that shoot 🙂 And thanks for all the panda love! She squeaks when she sees them Raphaelle! Totally worth all the hours! Terri they took a few nights of tv sewing to complete for sure. But they were totally worth it cause she loves them 🙂 Thank you! That makes it even funnier. Thanks Amy! 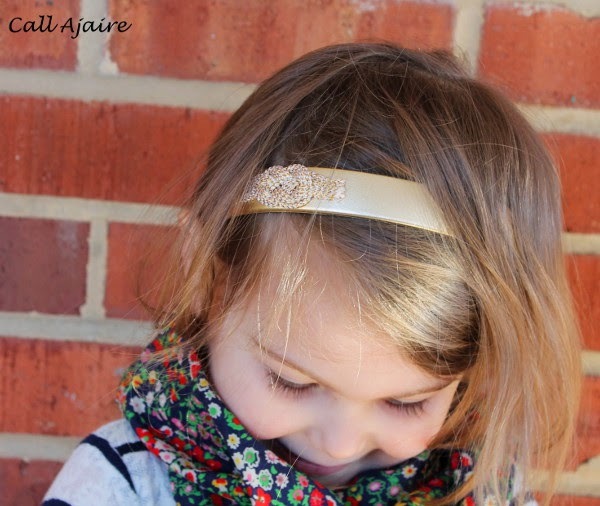 The headband was a total last minute addition after the wind disaster the day before. I was going to control that hair! haha. My favorite part is the boatneck shirt! Such a simple, lovely piece she'll be wearing again and again! In the sew along we were thinking along similar lines, boatneck tees, nautical theme, and we wanted to do a harbor photo shoot, but alas, we were not as brave as you because our weather was the same! Every piece is wonderful, but oh man those pants! 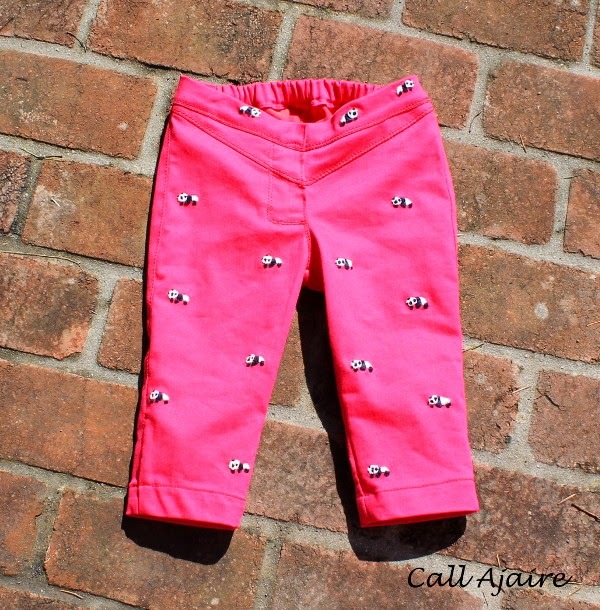 they are perfect – great color and awesome that you did the embroidery yourself. what a great way to personalize them and show off your skills! This whole outfit is darling but I especially love the hand embroidered pandas! Such a lovely touch! Great job!! I voted for you – totally impressed that the pandas were hand-embroidered! Fenna, she is now obsessed with touching them haha. Thank you! yup, you hit the Cape Cod look right on the nose! brings me back to summer nights in Yarmouth mini golfing and getting ice cream with my family. so much for spring break, i heard they just got a foot of snow! Oh, I just love those pandas! The hand embroidery takes them up a notch – that's true artistry, there 🙂 Beautiful outfit! 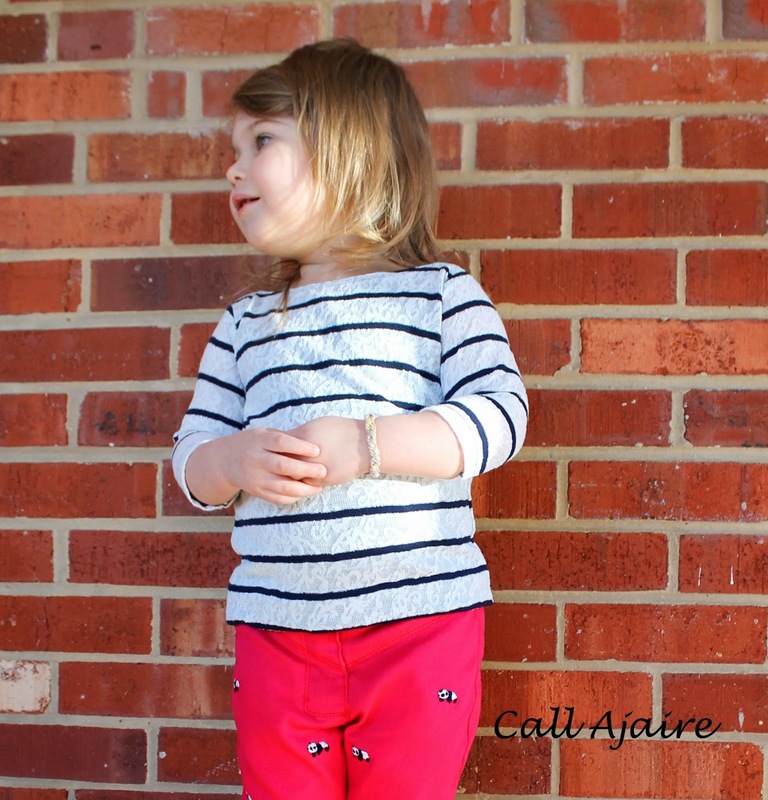 Such a well put together look Ajaire. Every single piece and its details, just amazing. I a inlove with that blazer though. Could it be any cuter? You did an amazing job again, I love that you brought pandas back hehehe… good luck and I want to see you in week 3!!! Oh fenna she is in love haha. Thank you for coming by! isn't it the best when the kids absolutely love what you've made? !